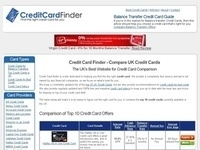 Credit Card finder is a site dedicated to helping you find the the right credit card. We provide a completely free service and we're not owned by any financial companies, so we focus on what's best for you. If you’ve ever had the fortune to have Barclaycard offer you a ‘helping hand’, beware. Barclaycard has launched a financial advice line, targeted at customers who are reaching their credit limit, or who are not clearing their debts each month.